Throwback Thursday - Doom — GamingWithSwag.com - Dads By Day, Gamers By Night. The early 1990's were an interesting turning point for video games. Technology had now advanced to the point where sprites were becoming bigger and detail to character design was easier to portray in a video game. And that's just it right? Technology has advanced today where everything seems so lifelike, almost like you are watching a live action movie. But because of these new founded capabilities in the 1990's violence was easier to depict on screen, just by adding in red pixels resembling blood. After being rejected by Nintendo in 1990 for attempting to sell a PC port of Super Mario Bros. 3, John Carmack, John Romero, Tom Hall, and Adrian Carmack decided to form their own company ID Software, and eventually releasing one of the most influential first person shooter games of all time Wolfenstein 3-D. This release was famous for depicting violence hardly ever seen before in a computer game that had gone on to sell millions of copies. After the success of Wolfenstein 3-D and prequel The Spear of Destiny, the arcade industry was also seeing an increase in violence within games, with the notorious Mortal Kombat being released in 1992 and being received with much fanfare. ID Software was working on their newest game which would forever change the gaming industry. It would become one of the most violent video games to ever be released at the time, and introduce spatial technology that had never been seen before in a first person shooter. Doom was released in December of 1993, just in time for Christmas. Doom's premise and story are simple. You are a space marine and you need to stop the forces of hell at all costs. That's it. No twists or turns, or character development. You find guns, kill demons, find key cards, kill more demons, and find the exit. Sold in a similar shareware format to other ID Software titles at the time, the first episode consisting of 10 levels was given away for free. This turned out to be a successful strategy, as people found the game very addictive and were more than willing to pay for the rest of the game. Doom has gone on to be a cultural phenomenon selling over 10 million copies of the original game over various platforms. So why was Doom so successful? Why has Doom aged so gracefully? First off, the level design is well thought out. I recently replayed the original Doom, and at no point in time did I ever feel like I was wasting time, or it felt like a chore to explore the levels. There are secret passageways littered throughout each level of the game, allowing the player to obtain weapons and power-ups to give an edge against the demons of hell. The music is adrenaline pumping, catchy, and never gets annoying. The theme of the very first level can still be played in my brain on cue, I have heard it that many times. We also need to mention the use of cheat codes, as there are dozens programmed into the game, allowing total invulnerability, a full weapons cache, wall clipping and more allowing a player of any skill to enjoy the game. Doom went onto spawn level packs, level editors, sequels, books, comics, and even a feature film starring Dwayne "The Rock" Johnson. Multiplayer was also a big factor, allowing users to connect on a LAN or over dial-up and either play co-op mode or team deathmatch. 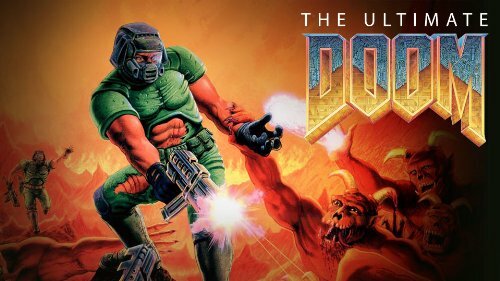 After the initial success of Doom, it didn't take long for copycats to try to recreate the success of the game that defined the first person shooter genre for years to come. Doom 4 is to be released this May on consoles and PC, and looks to be returning the series to it's roots, using the latest technology to create an unforgettable demon-slaying experience.